1/ "Marketing is the science of knowing what economists are wrong about." Here’s a collection of marketing insights, mostly inspired by @rorysutherland, a marketing executive at Ogilvy & Mather. The context, the medium, and the interface where a decision is made may have a far greater effect on our decision making than the long-term consequences of a decision, even when we know those consequences. 3/ Classical economic theory is not a complete guide to human behavior. For example, placebos are under-rated. 3. They’re proven to work. 4. They don’t have negative side-effects. People assume that most decision making is driven by logic. This is called System 2 thinking. But most decision making is driven by emotion. This is called System 1 thinking. Objective, numerical measures don’t drive most of our decision making. Facts take a back seat to emotional responses most of the time. Great marketers understand the automatic, unconscious, under-rated pull of System 1 decision making. Buyers usually care less about seeking perfection and more about avoiding catastrophe. 7/ This is really important…. People focus too much on Maximizing Brands and not enough on Satisficing Brands. 8/ What are Satisficing Brands? When we buy Satisficing Brands, we buy safety and assurance. 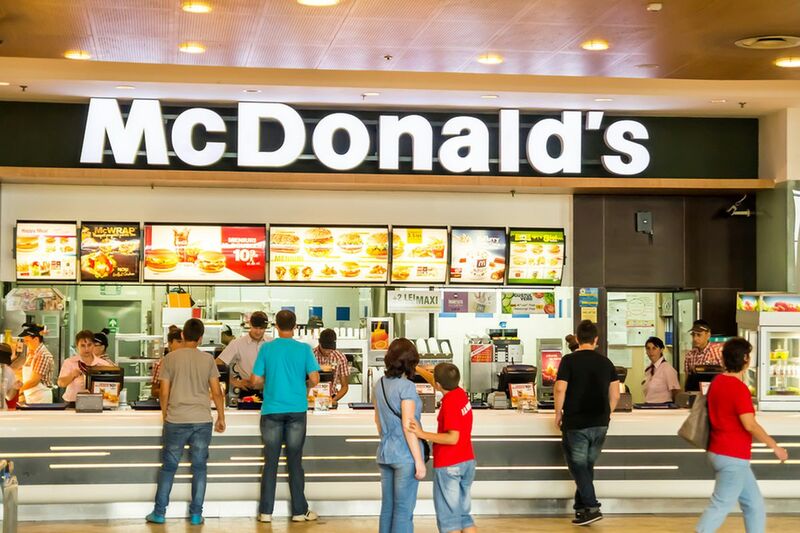 9/ McDonalds is an iconic Satisficing Brand. We don’t go to McDonalds for the world's best meal. We go because McDonald's is always "pretty good." They don’t just sell food. They sell cleanliness, safety, and reliability. Even in the worst parts of town, McDonald's is safe. 10/ What are Maximizing Brands? Maximizers seek the very best of everything. Maximizing Brands thrive when we’re outside of daily and normal routines. Think… wedding planning and extravagant trips. Tiffany’s is the perfect example. Maximizing Brand purchases are rare. 11/ Most people over-estimate how much they maximize. We satisfice way more than we realize. Pro-tip: Think more about Satisficing Brands and you’ll instantly improve your understanding of branding and human behavior. 12/ The problem with focus groups is they focus only on Maximizing and ignore Satisficing. Researchers rely on logic and that’s why so much marketing research is wrong and misleading. Most of our buying decisions are driven by emotion, not logic. 13/ Luxury brands are context-dependent. Your need for luxury brands is directly proportionate to the geographical and social mobility of the environment in which you operate. 14/ In areas of high social and geographic mobility, luxury brands thrive. Since we’re always meeting new people, we use luxury brands to signal success, prestige, and identity. In small towns with low mobility, everybody knows who you are. There's no need for luxury brands. 15/ The invention of the spreadsheet transformed marketing and corporate decision making. We’re over-reliant on numbers and metrics. We assume that only what we can measure is real and everything that is real can be measured. Definition: A powerful left-brained administrative caste which attaches importance only to things which can be expressed in numerical terms or on a chart. 18/ People who fail in unconventional ways lose their jobs. 19/ Advertising adds value to a product by changing our perception of it. An analogy: A restaurant that’s objectively good but smells like sewage is like a great product that’s poorly advertised. Most companies focus too much on the “food” and not enough on the “smell." 3. Remember that humans are illogical and driven by emotion, not logic. 21/ If you want to see an incredible example of intangible value, watch this hilarious video. A cereal company created tons of value by changing the cereal from square to diamond. They took the exact same product, and just rotated it 45 degrees. 22/ If you want to learn more about Rory Sutherland or become a better marketer, I recommend this short book by @mikedariano. You can read the full thread on my website. I saved my favorite ideas for my weekly newsletter. "In a world where everybody is focusing on data and incomplete metrics, competitive edge is found in precisely the places we cannot measure."